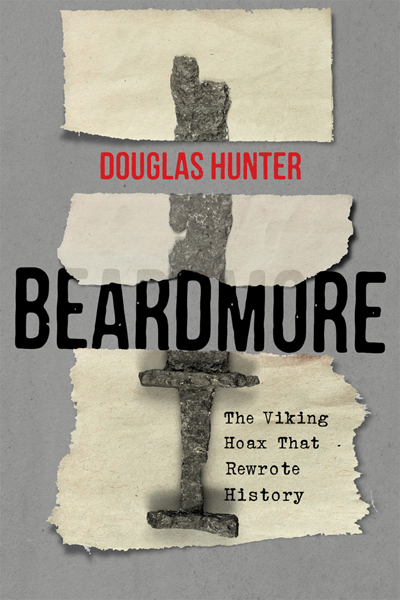 Join us on 23 October to hear Douglas Hunter speak about his recent book "Beardmore: The Viking Hoax That Rewrote History." In 1936, long before the discovery of the Viking settlement at L'Anse aux Meadows, the Royal Ontario Museum made a sensational acquisition: the contents of a Viking grave that prospector Eddy Dodd said he had found on his mining claim east of Lake Nipigon. The relics remained on display for two decades, challenging understandings of when and where Europeans first reached the Americas. In 1956 the discovery was exposed as an unquestionable hoax, tarnishing the reputation of the museum director, Charles Trick Currelly, who had acquired the relics and insisted on their authenticity. Drawing on an array of archival sources, Douglas Hunter reconstructs the notorious hoax and its many players. This presentation is part of the 2018-19 Thunder Bay Historical Museum Society's Lecture Series sponsored by the Department of History. Since 1908, the Thunder Bay Historical Museum Society has been regularly holding talks on a wide range of topics on the fourth Tuesday of each month at the Thunder Bay Museum (425 Donald Street East) from September to April. All presentations are free and open to the public.